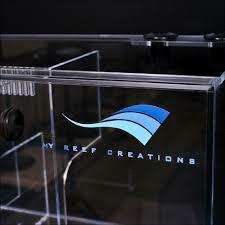 The My Reef Creations Bio-sump® is the latest in filtration technology pioneered by MRC. 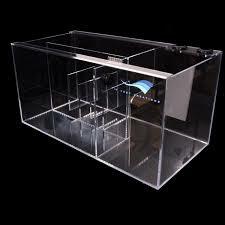 A sump can be and should be much more than a simple box that holds components. 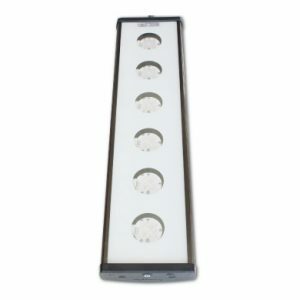 Done right, and it will be a powerful filtration tool that will keep your aquarium in optimal condition. 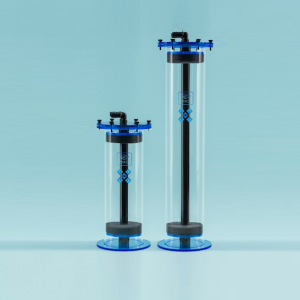 The MRC bio-sump® features MRC’s filter sock chamber with sealed filter socks, forcing 100% of the water through the socks. In case of clogging, the chamber is equipped with an overflow to prevent spills outside of the sump. 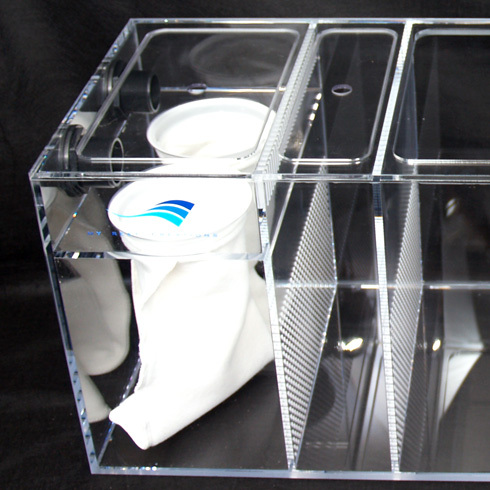 The inset lid will keep all noise and splashing inside the sump, giving you clean AND quiet operation. The water will then flow into the MRC bio-chamber, which is fortified with an ultra high-capacity bio-media, giving you acres of biological surface area, helping you fight nitrates and phosphates. Unlike traditional bio-ball sumps, the MRC bio-sump® will never become a nitrate factory. The media also never needs rinsing, cleaning or replacing. A large skimmer area and bubble baffles round out the design. 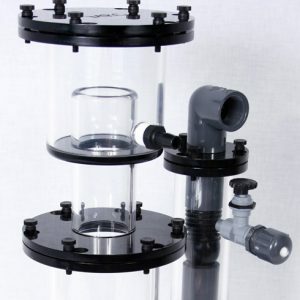 Add an optional probe holder & effluent-line holder and you have a complete filtration and monitoring headquarters! 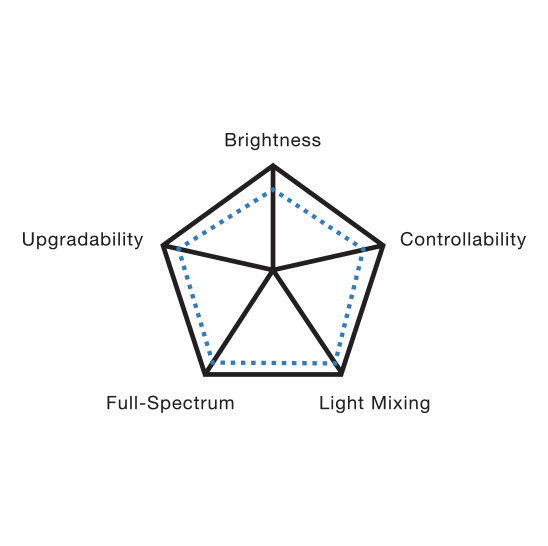 As with all MRC sumps, the highest quality and finish you’ve come to expect applies. 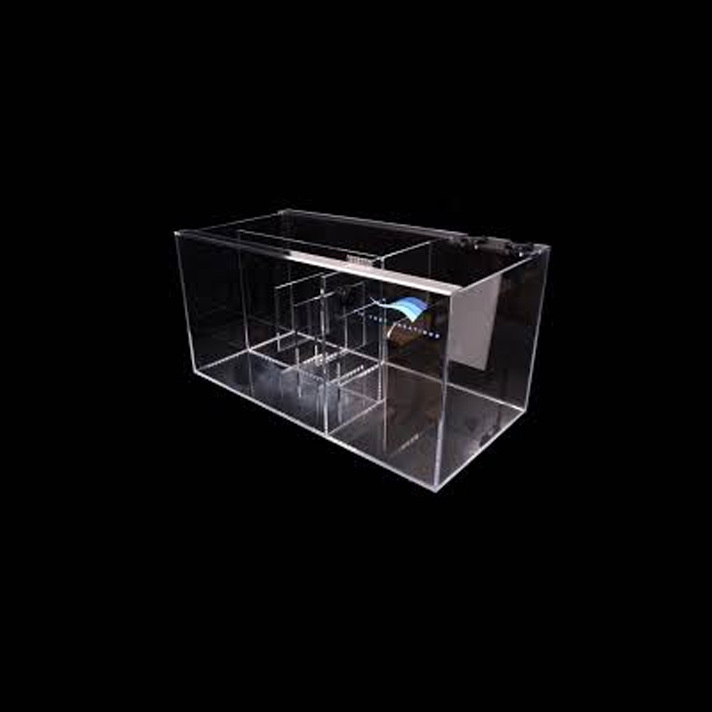 Got a question about our sumps or one of our other available products? 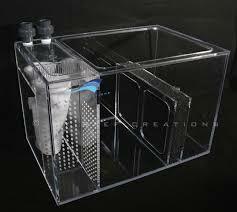 Select Size Bio Sump 48"Bio Sump 36"Bio Sump 24"